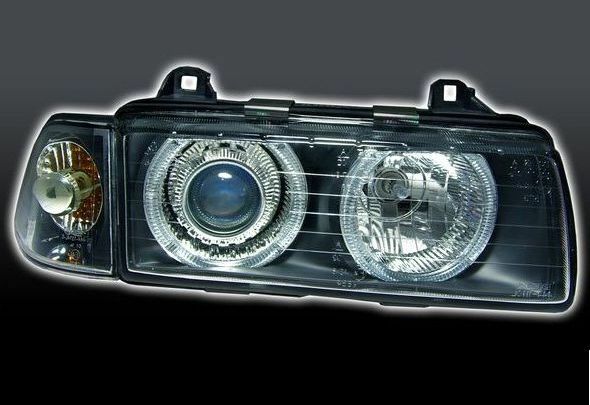 Let's look at basic questions on BMW e36 optics, including the standard solution from the factory and available options for tuning, head optics, antifog headlights, marker lights, stop and direction indicators. At the time of bmw e36 headlights were decent enough, even the headlight range control is present. They were in two versions - with and without lenses from two manufacturers - Bosch and ZKW. But it is difficult to say which one is better, all depends on the state of optics in General. Now the cost of a new headlight BMW E36 is at the level of four hundred American dollars. Does it make sense? It is clear that either option from the disassembly of automobiles, or look for a substitute, which, by the way, will cost a hundred or two dollars and will be better than the original - such is the harsh law of time and tuning... albeit Chinese. 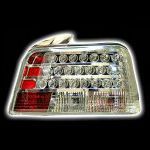 There are many different places where you can buy headlights for BMW E36. 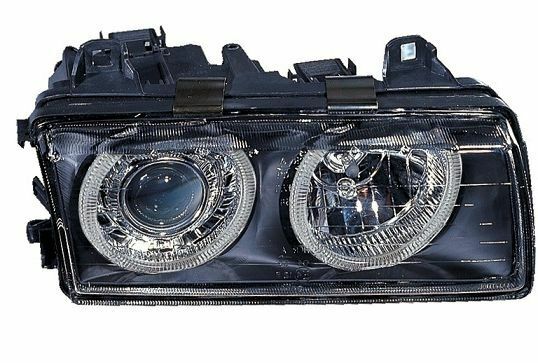 For example you can find bmw 3 series headlights for popular online stores such as amazon or aliexpress. So, the Hella lights will cost under $200. It is clear that headlights is a separate module, and all reasonable tuning is reduced to the formula - bought, removed, placed. The maximum that can be added is the cilia on top of the headlight, or in a standard lamp, add led rings, the so - called angel eyes bmw e36. 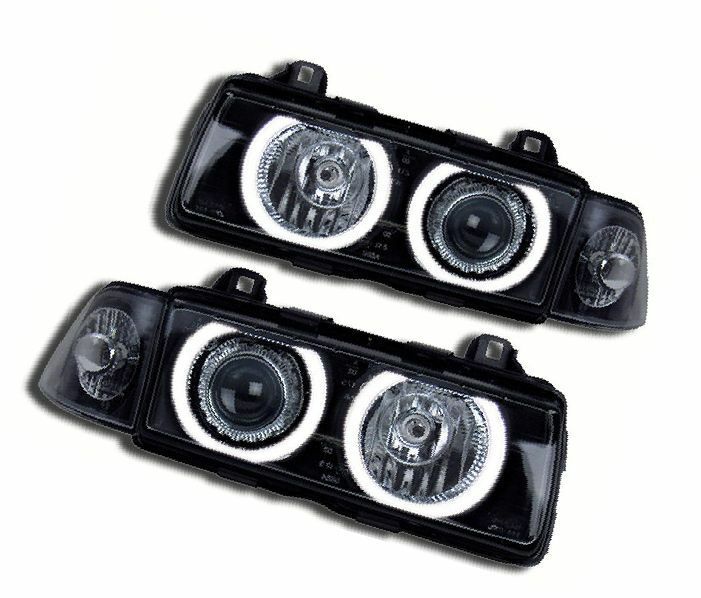 Angel eyes for BMW E36, you can install it yourself by disassembling the headlights. You can just make a top cilia optics and installing normal bulbs in the headlights, but it's the tuning of the optics will not be called. And do not farm with bmw 3 series xenon headlights or installing self-made cilia on the headlights. 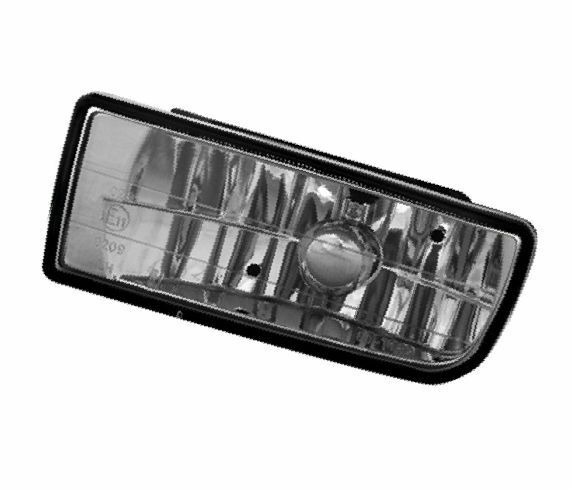 Xenon is prohibited to install in headlight not intended for it. When you install a xenon kit in a BMW e36 you need to modify the headlights so that they meet the standards, or buy the redesigned headlamps that comply with the standards. There is a great choice! 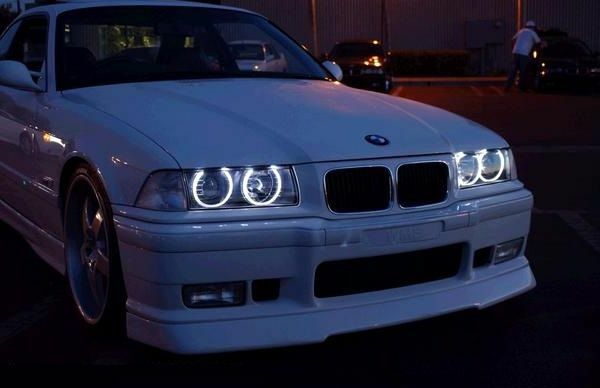 It's all in the LEDs that have appeared since then, was released as our favorite BMW E36. Since that time too much has changed technology, and to date, the LEDs have become available to everyone. 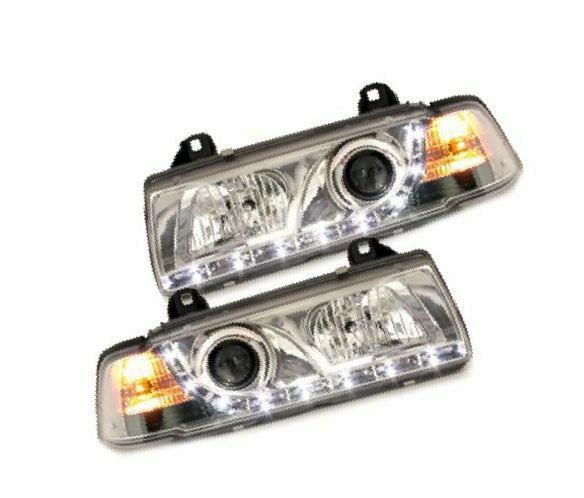 Whatever you did to change from additional regular optics on the LEDs, whether the brake lights, turn indicators or fog lights, BMW E36 tolerate and even endorse! Old incandescent new led greatly inferior in all ways, so why not change it? It is possible to conduct replacement-level modules - such as blocks of more modern tail lamps with LEDs, or light the cabin, and you can just remove the bulbs and replace them with an led of the same base.